But…how was the toilet green? Did you paint it or was it just the superpower of the wall paint to turn everything in its path green as it only reflected that wavelength of the light spectrum? It was the power of the paint: so green and so ugly. L…O…L I’ve literally laughed hard on this one. Um, no thanks. I’ll pass. I thought that you had a green toilet! Holy cow that was some powerful paint. Well done on the accomplishment and it looks so much nicer. You should have seen how pretty people looked in the glow from the paint. Who knew paint could have such super powers! I like the redo! Hulk paint. Well, pastel Hulk I guess. 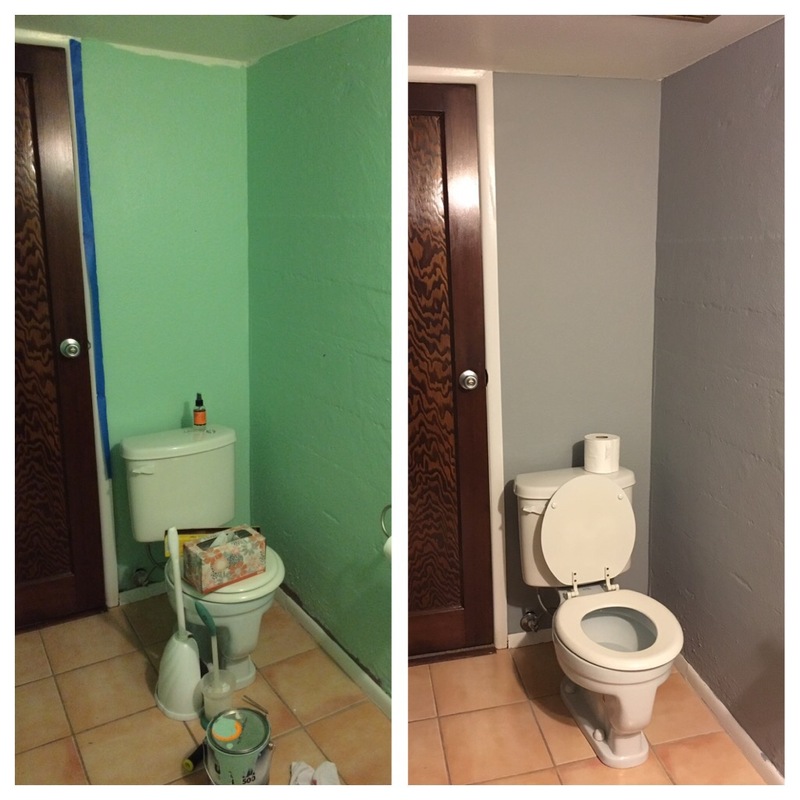 The redo is a total win! That bathroom makes me happy now.